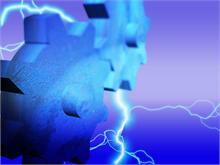 During slow periods, manufacturers scale back production by idling machines or shuttering plants. Reducing costs means cutting capacity, which shrinks your potential for profits and can leave you hurrying to catch up when demand returns. Rather than focusing solely on cost cutting, look instead to optimize your capacity. A capacity utilization approach can balance operating expenses with product demand, trimming only unnecessary costs and identifying where additional resources are needed. Calculate capacity utilization by dividing your company’s actual output by its potential output, taking into account the number of workers, facilities, machinery and other capital outlays that contribute to productivity. A manufacturer’s average capacity utilization rate typically rises when the economy is vibrant and falls when the economy is anemic, making it a good indicator of the manufacturing sector’s general health. According to the federal government’s latest data, the average capacity utilization rate among manufacturers is 69%. That figure is higher than during the throes of the recession, but is part of a larger trend of declining manufacturer capacity utilization. For comparison, the average capacity utilization rate in the late 1960s was 89%. Balance is important when it comes to capacity utilization: Too-high utilization can leave plants struggling to keep up with demand and lead to price inflation, while too-low utilization means businesses are squandering their investments. Many financial experts suggest that manufacturers should aim for 80% utilization, meaning the average manufacturer today needs to boost its figure. To increase your capacity utilization, review your production-related expenses and determine whether they make sense as a whole. If you have enough workers and plant space to produce 20% more product, but outdated machinery is holding you back, for example, it may be worth upgrading that equipment to boost productivity. Conversely, if you’ve been forced to reduce your workforce because of the recession, it may be time to downsize to a smaller facility or consolidate multiple locations under one roof. Before undertaking significant changes, make sure you’re not cutting items that you’ll need to replace if you increase production in the future. Restarting a plant, for example, often requires a hefty outlay of time and resources for training and other start-up costs. Other strategies for boosting utilization, such as bringing component suppliers or other previously outsourced functions in-house, can also backfire if you don’t carefully compare all costs to potential revenues. In addition to streamlining expenses, it’s just as important to examine the other side of the equation: sales. Even though dwindling demand has sparked the recent drop in capacity utilization, savvy manufacturers are finding ways to increase their market share. One vital step is to diversify your customer base, which keeps demand steadier during uncertain times. Next, brainstorm new ways to market your products and connect with potential customers, such as revamping product lines or freshening up advertising campaigns. Aligning demand with expenses takes careful consideration, but the work pays dividends when done correctly. By moving your capacity utilization to where it should be, you can help your manufacturing company weather the economy’s valleys and increase your chances for long-term profitability. Washington’s manufacturing sector has some limitations – mainly distance to major markets – but those are outweighed by a host of attributes that make it such a crucial contributor to the state’s economy. Among them: The sizable and well-established aerospace base, the diversity of manufacturing subsectors, an entrepreneurial culture and an export orientation (perhaps driven by necessity, but it’s still an advantage). Here’s one more to add to that list: Electricity costs. All that water running through powerhouses at dams throughout the Northwest produces not just electricity but cheap electricity. At 6.41 cents per kilowatt hour, Washington has the second lowest cost for electricity for all customers, bested only by Louisiana, according to the Energy Information Administration. In California the cost was 14.94 cents per kilowatt hour; the national average was 10.18. That cheap power built a strong manufacturing legacy in the Northwest – think of the aluminum smelters that were built in this region specifically to take advantage of plentiful and inexpensive electricity. It continues to pay dividends today. When German companies BMW and SGL went looking for a site for producing carbon fiber, to be woven into composites to be used in a new generation of small, lightweight cars, they picked Moses Lake. The reason: The availability and cost of electricity for a process that requires a lot of juice. But that legacy and competitive advantage for Washington manufacturing is starting to show its age. If you’re a manufacturer heavily reliant on natural gas either as an energy source or a raw material, you’re in high clover. Natural gas prices are at historic lows because of the huge quantities of shale gas now recoverable. So dramatic has been the swing that a nation that was recently considering how and where to import LNG is now discussing how and where to export it. Electricity prices are another matter. While the all-sectors and industrial-customers electricity prices as reported by EIA were down nationally from June 2011 to June 2012, both readings increased in Washington. Seattle City Light earlier this year unveiled a strategic plan calling for six years of rate increases averaging 4.7 percent annually. State regulators recently approved a 3.2 percent overall rate increase for Puget Sound Energy’s electric customers and a 1.5 percent increase for Pacific Power. Avista, serving customers in Eastern Washington, has a rate increase pending. Irony of ironies, cheap natural gas is contributing to the trend. Utilities such as Seattle City Light make some of their revenue selling surplus power on the open market; less expensive natural gas means less expensive electricity produced in gas-fueled generators, which in turn drives down market prices for power (lower demand due to the economy isn’t helping, either). But that’s not the only contributor. Plant and equipment, hydroelectric dams included, need to be maintained and repaired. Employees have to be paid, and new employees have to be recruited and trained to replace the growing number of retirees. Some of the increase is self-inflicted. With the mandates of I-937 for utilities to add more expensive renewables to their generating portfolios, the overall price of electricity goes up. In fact the cost structure of the Northwest’s electricity system is being rearranged. The region’s grid continues to be hydro-based, representing two-thirds of supply. But it’s unlikely that any more dams will be built; in fact, there’s a drive to take some out as has been done on the Elwha on the Olympic Peninsula and as some environmentalists would like to do with dams on the Lower Snake River. As utilities add resources, to meet demand, that are more expensive than the hydro system (natural gas and wind being the leading options at the moment), the region’s electricity cost profile will begin approaching that of other states. Washington’s electricity costs may never get to the level of California, but the state’s cost advantage could narrow. That means two things for Washington manufacturers. First – a renewed and heightened emphasis on squeezing every last watt of efficiency out of consumption, even for those businesses that thought they’d done a good job on conservation. Second – an opportunity for some companies to build the equipment and systems to help businesses and consumers use less electricity more efficiently. We’ve already seen local companies develop technologies, such as using in-stream flows in irrigation canals or water-treatment plants and exhaust from industrial air filtration systems to drive generators. More such innovations are coming. It was once promised by advocates of atomic power that it would be “too cheap to meter.” That never happened (as Northwesterners know all too painfully). For decades hydro power was almost so cheap that many of its customers gave little thought to it. Those days are over. If you haven’t already devoted considerably more time to thinking about how much you’re paying for and what you’re doing with electricity, you will be. Bill Virgin is a veteran business journalist and the founder of the newsletters Washington Manufacturing Alert and Pacific Northwest Rail News. He is also a columnist for The News Tribune, Seattle Business Magazine and the energy newsletter Cleaning Up. “Unfortunately, we’ve seen a lot of vulnerability in clients who over-rely on audits and internal controls alone to protect themselves from fraud,” states Certified Fraud Examiner and CPA Jessica Kinney of Shannon & Associates. “Businesses today need to focus on protecting their bottom line everywhere possible – not only on spreadsheets, but within their own work environments. Choosing to affiliate with Red Flag Reporting was an easy decision for us – as it is the most cost-effective anti-fraud solution, and it’s created for organizations of all sizes. It was the perfect fit into our portfolio because it was founded within our industry by experts with high standards similar to our own,” says Jessica. Shannon & Associates is a full service accounting and consulting firm serving successful businesses and individuals across Washington, Alaska, Oregon and California offering industry expertise to manufacturers, distributors, financial institutions, not for profits, retail, construction and family or closely-held companies. Our services include traditional accounting, auditing and tax expanding to estates and trusts, international tax, employee benefit plan audits and plan administration, accounting and ERP software, state and local taxes, mergers and acquisitions, forensic accounting including fraud prevention and awareness. 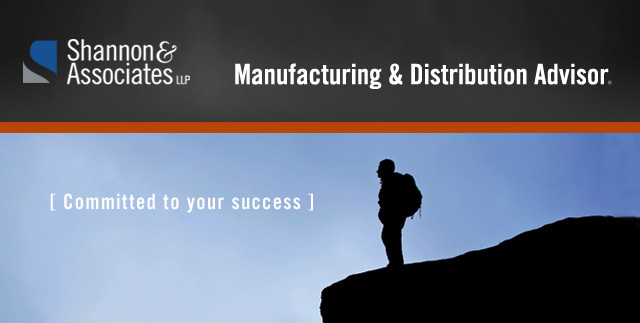 Your manufacturing company doesn’t offer a retirement savings plan for your employees? Join the club. About half of working Americans don’t have a retirement plan at work, according to the IRS. The IRS is working to change that statistic with several recent initiatives to encourage participation among employers and employees. For manufacturers, establishing a retirement plan makes your company more attractive to potential hires and translates into tax benefits. If you don’t have a plan in place, here’s how to get started. Retirement plans generally fall into one of two categories: defined-benefit plans, where employees receive a fixed amount when they retire, and defined-contribution plans, where employees contribute a fixed amount to an account during their careers. Defined-contribution plans are more common these days in the private sector, and the 401(k) plan is the most popular among them. When implementing a 401(k) plan, you can choose whether to match your employees’ contributions. Choosing an automatic enrollment 401(k) plan can increase employee participation further. And the IRS no longer requires employers to apply for approval before instituting automatic enrollment. Under these plans, employees automatically have a portion of their paychecks deposited into a retirement account, and can opt out of the plan at any time. Another recent IRS initiative allows companies to automatically increase the amount of an employee’s paycheck that is diverted to a savings plan each year. Employees may stop the increases at any time. As for defined-benefit plans, you can offer pension plans, which pay employees a fixed amount periodically after they retire, or a new alternative — the cash balance plan, which sets an employee’s retirement account at a particular level, such as $100,000, when the employee retires. The amount of benefits in an employee’s cash balance plan is specified in the plan’s terms and typically is based on the employee’s salary and a fixed or variable interest level. On retirement, the employee can take the account balance in a lump sum or as monthly payments. Whatever plan you choose, your contributions and your employees’ contributions are tax-deductible. Qualified manufacturers also can claim tax credits of up to $500 a year for the plan’s first three years to cover start-up and maintenance costs. After your plan is in place, monitor it to ensure it retains its preferential tax status and to avoid errors. You’ll need to file paperwork with the IRS each year showing that your plan doesn’t favor certain workers over others, that plan costs are reasonable and that plans operate in participants’ best interests. If your plan loses a large number of participants because of employee turnover or layoffs, you may incur a partial plan termination and lose your plan’s tax-favored status. Make sure you know the effect on your plan before instituting major personnel changes. If you discover errors in your plan, the IRS offers several options for correcting them. Depending on the severity of the error, you may pay a fee, but resolving the issue will help you avoid having your plan terminated. You want to retain your best employees and attract highly qualified new candidates. Offering an employee retirement plan can help. There are many different plan types to choose from, so discuss with your financial advisor which makes the most sense for your company.